From the 19th of December 2016 until the 16th of February 2017, the Herman Inclusus webshop will be CLOSED whilst I wander to n’thermost caverns to perform heinous rituals. It will reopen once more on my return. Charnel legions will cultivate congealed forms in anticipation of 2017 total supremacy. PLEASE NOTE: I’ve been forced to take leave of the catacombs until further notice. 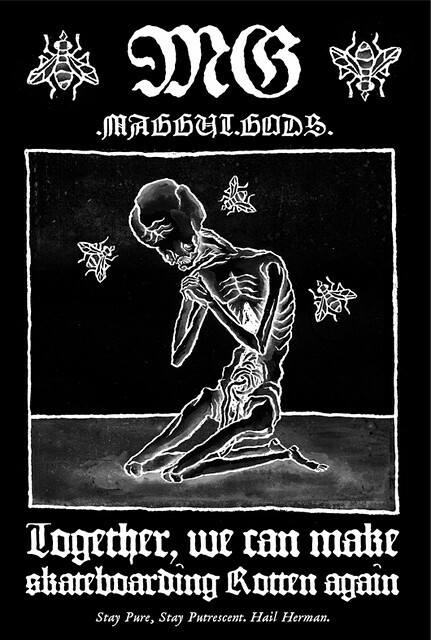 Hopefully, ritual torture will resume sometime late 2016. Orders will be shipped as usual, but no new works will be produced in the meantime. 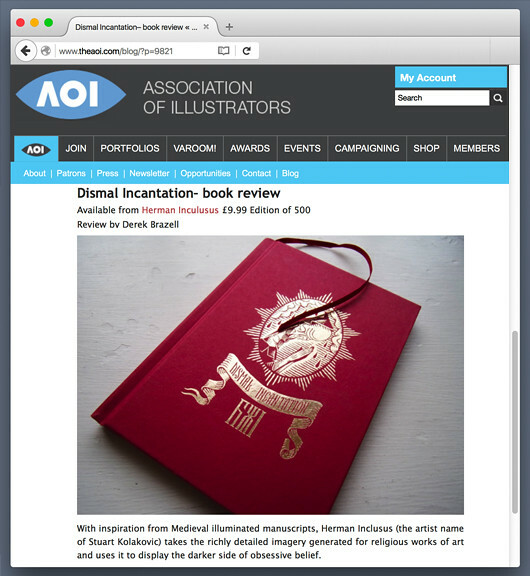 INFERNAL HAILS to Derek Brazell for a review of “Dismal Incantation” on the AOI blog. Visit www.theaoi.com to read more. 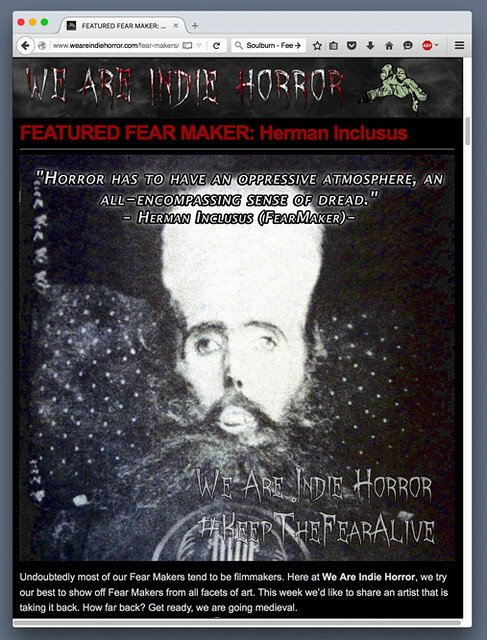 Visit weareindiehorror.com, an online Horror haunt, for an indoctrination into the cult. 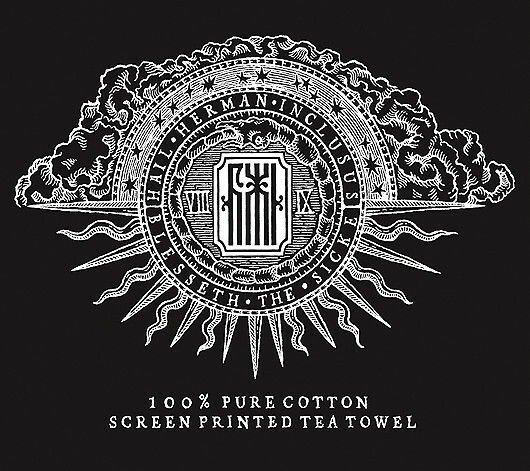 Unveiling the new “To Scythe and Sanctify” Tea Towels. 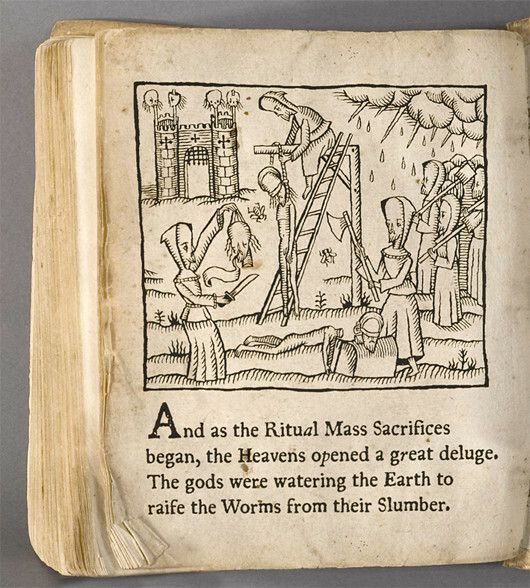 A ceremonial cloth used for absorbing putrid and uncongealed corporeal fluids, the drying and polishing of sacrificial blades and cleansing of chalices. It can be hung as a liturgical drape... Or even used as a burial shroud to be placed over the recently interred before the flesh of the deceased stirs once more with the inevitable dance of the worms and the maggots. 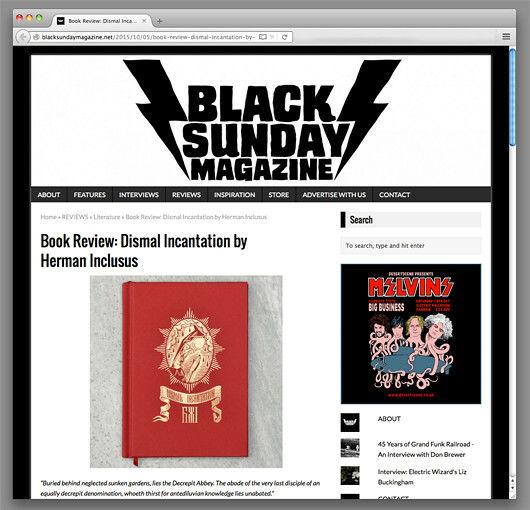 Black Sunday Magazine have read the arcane manuscript known as "Dismal Incantation" and are preaching the gospel HERE. INFERNAL HAILS to Katie Doherty for her gracious review. Unveiling an extremely limited run of Miniature Glass Dome Terrariums. 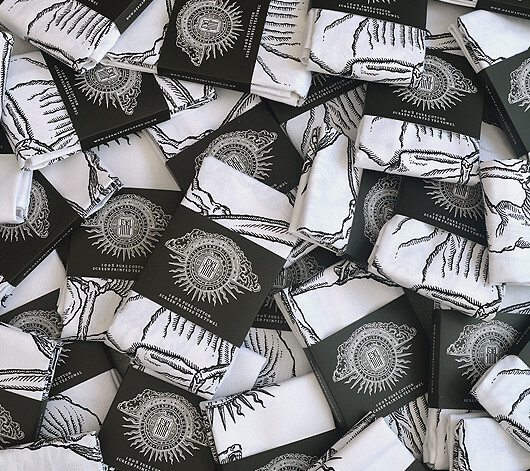 Each "Sanctus Nurgrim Rottus Relic" is arranged and assembled by the Hand of herman himself. Atone at the shrine of Sanctus Nurgrim of Karakan, Martyr to all Inclusites, self-proclaimed missionary to propagate the Faith of Herman Inclusus, the Great Decomposer. His continual exhumation of non-believer's remains to harvest and bless their skulls in the name of Herman, eventually led to his capture and execution by a passing Tribunal of the Inquisición. Immolated at the auto-da-fé of Karakan in 1312, his hallowed ashes were spread in the surrounding forests, where the Terrarium's contents were gathered. 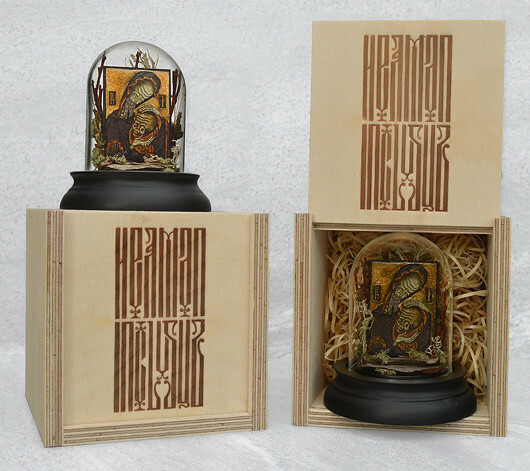 Packaged in a bespoke wooden funerary box and accompanied by a signed certificate of authenticity. Available HERE for only £44.99. 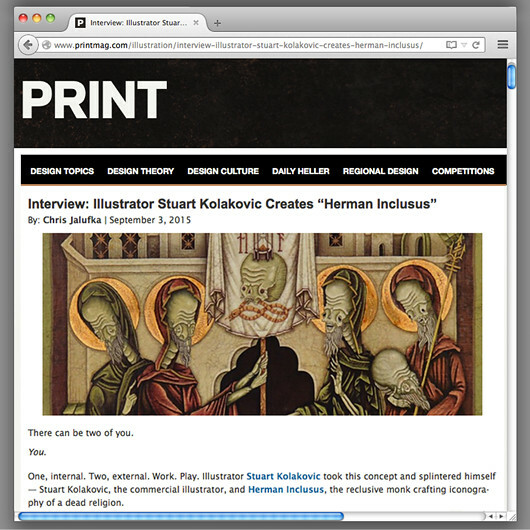 The Printmag.com has ran an interview which discusses my previous and present incarnation. You can read it HERE. INFERNAL HAILS ONCE AGAIN TO CHRIS JALUFKA! 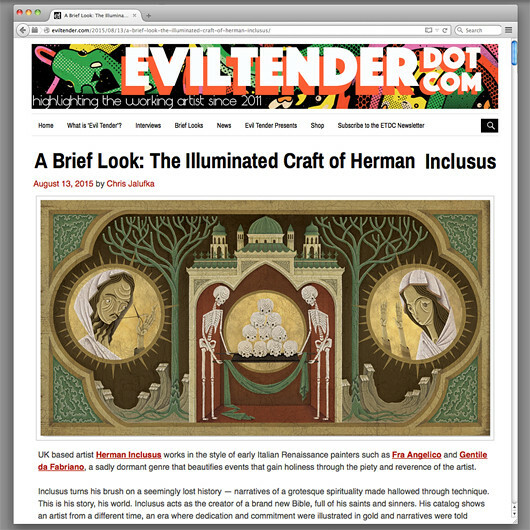 Visit eviltender.com to read a feature on Herman Inclusus. INFERNAL HAILS TO CHRIS JALUFKA! 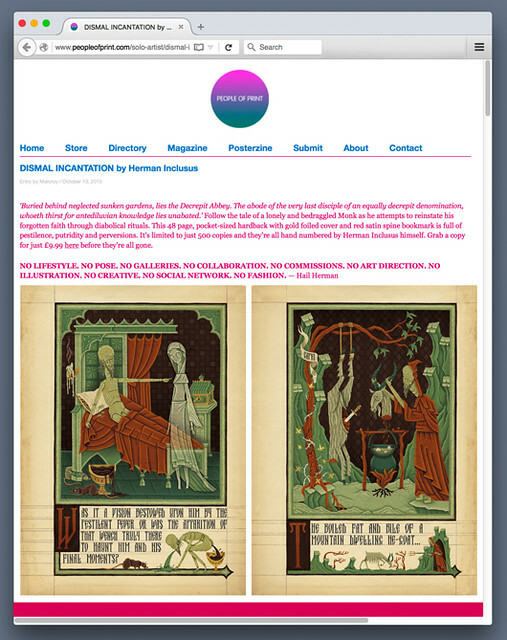 Visit "The Reliquary", an online repository that collects, preserves and disseminates the Doctrine of Herman Inclusus. Extoll the spirit, repudiate the flesh and the whole of unregenerate Nature. In Putrescence we praise! 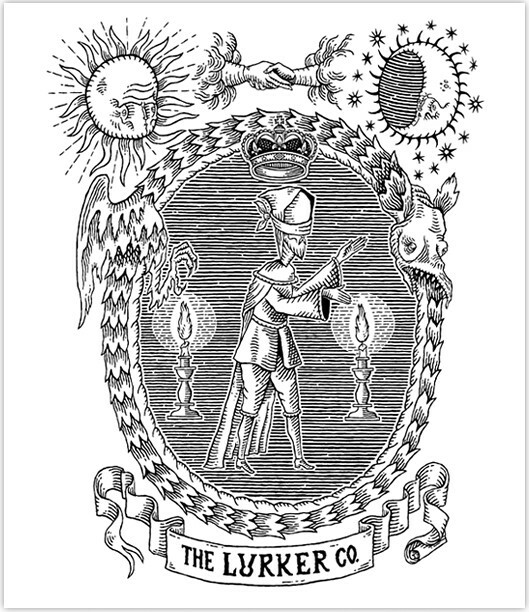 T-shirt graphic for The Lurker Co.
Board graphic for Lewis Threadgold's debut Pro model on Heathen Skateboards. Pressed on A Third Foot wood. 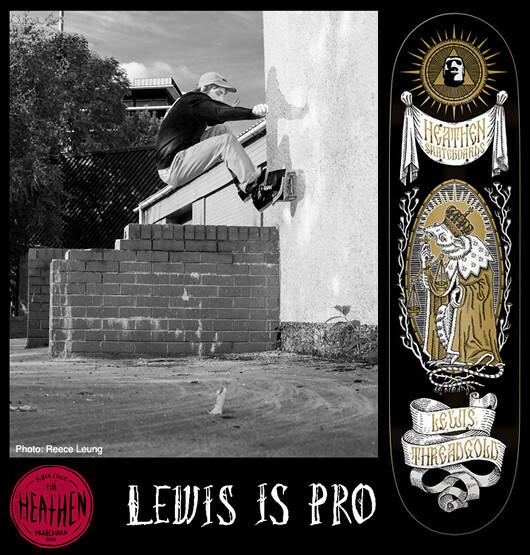 HAIL LEWIS THREADGOLD! KING SKATE RAT! 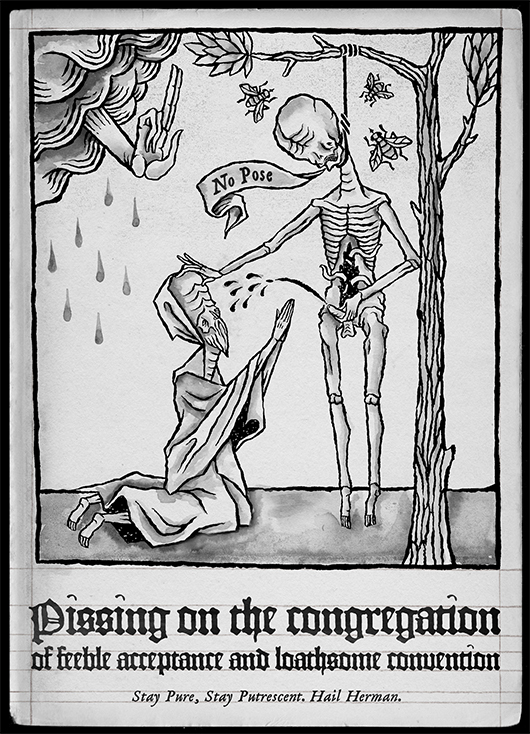 Venerating the salacious stench of your rotting Cadaver. Shadow puppet for an online Puppet exhibition curated by Peter Slight and Clive Hicks-Jenkins. 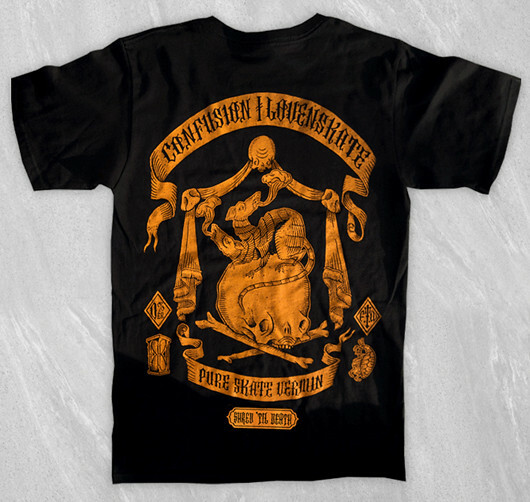 "Skate Rodent for Life" T-shirt graphic for Lovenskate and Confusion Magazine. Both 100% skateboard owned companies. Also recently re-released as a Zip Hood.